Nearly half of fire deaths in buildings in 2010 happened in a property with a working smoke alarm, figures obtained by BBC Radio 5 live Breakfast show. The deaths accounted for 157 of the 340 people killed in UK property fires. The figures were obtained through Freedom of Information requests from 54 out of 57 fire services. The Fire Brigades Union said fire alarms had helped to reduce fatalities but the figures showed it was wrong to cut back on firefighters. 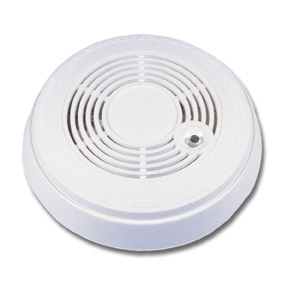 More than 80% of buildings now have smoke alarms fitted. But people often disable them if they are faulty and go off too frequently or they forget to replace the batteries. In many cases where deaths occurred last year, even though there was a working fire alarm, escape routes had not been planned or exits were blocked. In about 40% of fatal fires alcohol was a contributory factor because people were either unable to hear or respond when the alarm went off. Rob Davies, community safety officer for West Midlands fire and rescue service, said a smoke alarm could only give early warning in event of a fire. If you think we can help you at all then please call us on 01415612735 or book a free workplace survey here. This entry was posted in General News and tagged alarms, guidance, help, scotland, smoke. Bookmark the permalink.